Make your products stand out in brilliant LED lights! 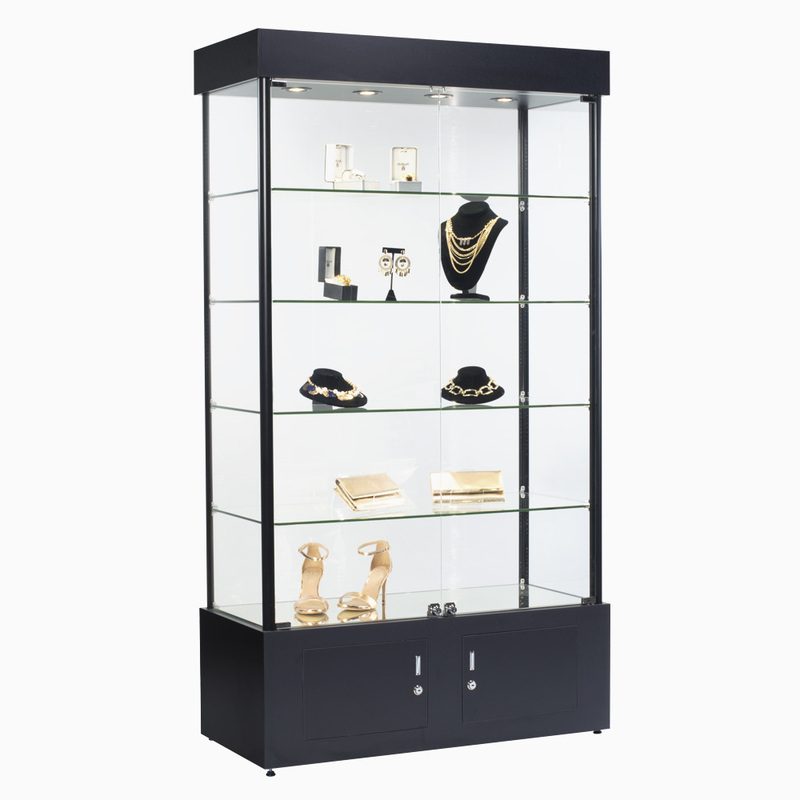 This radiant LED lighted showcase displays your product collection in a modern style. It is equipped with low-profile long-lasting, energy efficient LED light stripes that are integrated into the display`s columns. Compare to traditional halogen bulbs, LED lights are made of material that create light, not heat, which is better for displaying heat-sensitive items such as fine jewelry and premium leather goods. Includes 6 ft. standard electrical cord. Ships fully assembled and ready for use. Not available for private residence delivery.